Producer of VAXXED Speaks Out: "This is Bigger than Watergate"
Del Bigtree, producer of the controversial film "VAXXED," recently appeared on the National Safe Child Show with Tammi Stefano in Los Angeles. 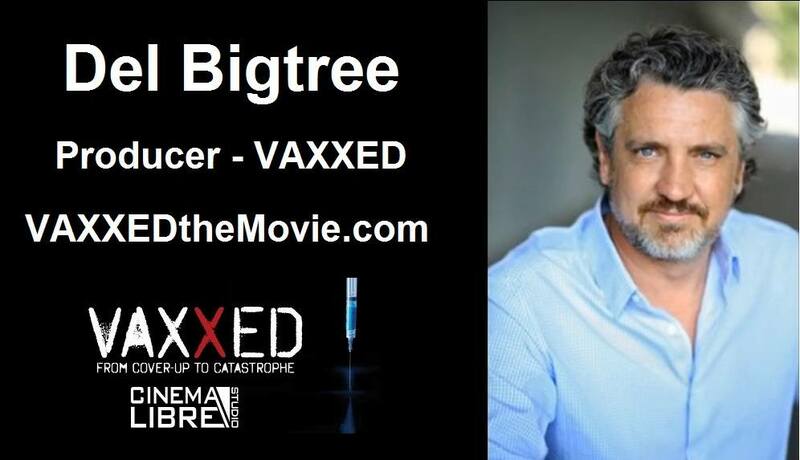 Before taking on this film project together with Dr. Andrew Wakefield on the MMR vaccine fraud, Mr. Bigtree was the producer of the popular daytime medical show "The Doctors." Mr. Bigtree states that when he learned about the top scientist whistle blower at the Centers for Disease Control (CDC), that he knew this was the biggest story of his life, and that this was "bigger than Watergate." Since the 2004 study that supposedly proved there was no link between the MMR vaccine and autism was published by the CDC, more than one million children have been diagnosed with autism, and now one of the study's authors at the CDC has revealed that data was concealed that actually showed there was indeed a link between the vaccine and autism in some children. In the second half of the National Safe Child Show, Tammi Stefano interviewed Jennifer Margulis, Ph.D., and investigative journalist and the author of several books, including "Your Baby Your Way" and "The Vaccine-Friendly Plan" that she co-authored with Dr. Paul Thomas, M.D. Dr. Paul Thomas is a board-certified fellow of the American Academy of Pediatrics, and he agrees with actor Robert De Niro that we need to learn the truth about vaccines, and that the science is anything but "settled." Dr. Thomas is not anti-vaccine, but delays or forgoes certain vaccines depending on the needs of the children in his practice. Margulis reveals in her interview that in her experience as a professional award-winning journalist, she has seen censorship in journalism on the vaccine topics. She attributes this phenomenon partly on the ignorance of journalists and their unwillingness to explore both sides of the debate. She believes many journalists erroneously believe that if the government states vaccines are safe, then it must be true. She reminds her colleagues in the media that traditionally the media's job has always been to question the government, and act as a "watch dog" over what the government was claiming. If u wanna know all about this vaccine, get in touch with me, I did the drug trial study for this 25 yrs ago at bostons brigham and womans hospital, I called the FDA and whistleblew, it almost killed me, these people can be cured if caught in time and maybe still, a natural path saved my life. I had 3 shots of it, it was called biotope CD back then, but they kept changing the name and pharmacutical companies. For me, I'm not "anti-vax," per se, I am “pro-fact.” Why isn't everyone? When it comes to the vaccine "debate," I don’t really see one. I believe that EVERYONE IS RIGHT --> some vaccines do work in some *selective* gene populations, and other vaccines are designed, patented, and MAN-ufactured to trigger and fail in other gene pools (see: eugenics in CA, Agenda-21, Georgia Guidestones). In fact, vaccines are just an instrument of bioweaponry. On a macro level, how anyone can naively believe that the *rich white man* is helping the *poor black man* get better, and live a longer healthier life, is truly beyond my realm of comprehension (see: Native American wars, then untapped oil and blood diamonds in Africa). Putting everything else aside (because government-funded "science" is as oxymoronic as it gets, as it'll always have a political agenda it is hardly legitimate), I just tell people: put down the WiFi; go to the library; and open a history book. Vaccines don't work. They never did. Not one disease ceases to exist because of vaccines. (Sorry, but smallpox is still around.) And what has the establishment's faith in vaccines brought us? Chronic disease and death of a different sort. So, no, everyone is not right. In fact, one side could not be more wrong.